Fitting into a neighborhood peppered with 100 year old farmhouses was of primary importance to this family. The trick was how to do this when the desire was for a modern architecturally designed home? The dry-stacked rock wall that bisects the house became the anchor point for joining those two objectives. Combining this with the board and batten siding prematurely aged to a driftwood patina and tucking the home into the landscape, created a beautiful juxtaposition with the expansive glass that looks out to the Puget Sound and Seattle. Although it’s hard to pull yourself away from the view, the open floor plan on the entry level is filled with light and an overscaled fireplace detailed with modern blackened steel. The steel is repeated in the stair via an exposed stringer and concrete treads lead up to the bedrooms and luxurious master bath. 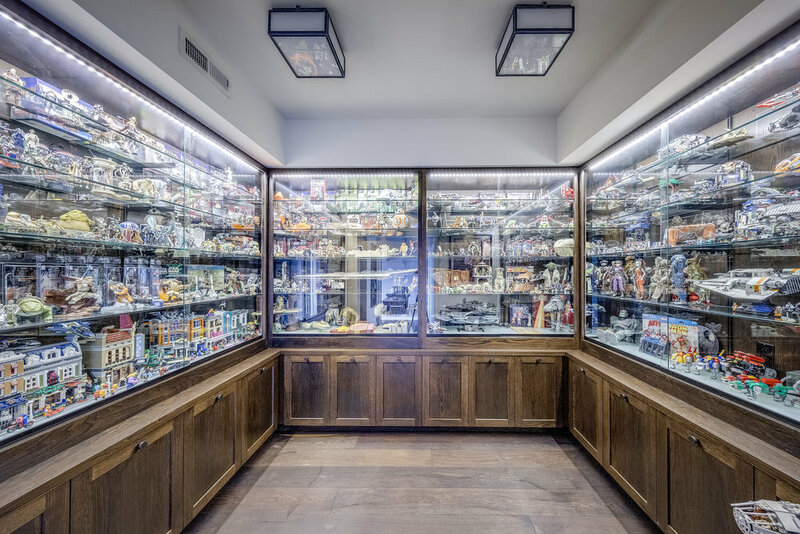 A special room was even created to showcase a vast Star Wars collection. 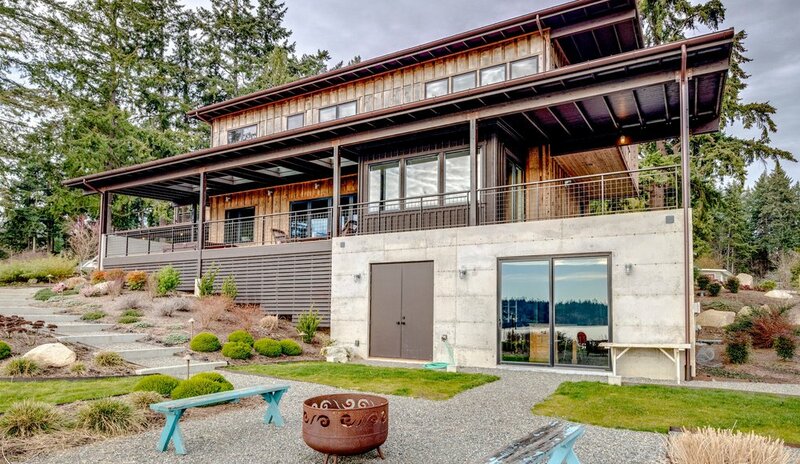 There is no shortage of personality at this modern interpretation of a Falk Farm on Bainbridge Island.